The big thing in the near future is that I’ll be at ASHG 2015. More precisely Wednesday through Friday. I’m planning on checking on the Friday evening session of Lazaridis et al. where they review their findings in regards to the ancient Anatolian genomes. Aside from that the focus is on posters (methods in particular) and eating crab with David Mittleman somewhere good in Baltimore. Just listened to The Scandinavian Secret Behind All Your Favorite Songs, which is an interview with John Seabrook on The Tom Ashbrook Show. 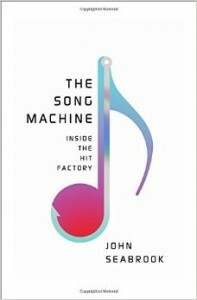 The general story is somewhat known, but Seabrook digs deep in his book, The Song Machine: Inside the Hit Factory. Some of the elements of the story are actually interesting. Scandinavians are generally fluent in English, but Seabrook points out that they don’t always have a good grasp of idiomatic English, so their phrasing may seem strange. This is apparently the backstory behind the Britney Spears’ hit …Baby One More Time, as a native English speaker would probably not be as open to a phrase such as “hit me one more time” in a mainstream song. For the lyricist Max Martin it was just an allusion to being called back. This issue also continues down the present, as Arianna Grande objected to grammatically incorrect phrases in vain with Martin. This probably explains why the lyrics of so many hits are cryptic and require deep exegesis to extract comprehensible meaning. But, it brings to the fore a more general issue: is the rise of the industrial production of “pop music” an irreversible trend of economic perfection of the transmission of particular services to the populace, or is this a fad which will abate? The latter is not a hypothetical, as there have been previous reactions to excessive artificiality, perceived or real. To name two, the almost shattering collapse of “glam rock” ~1990 and the rise of “grunge.” Nirvana was good, but it was really just a trigger for a shift away from a metastable equilibrium. Authenticity, and musicians who exhibited virtuosity in classical instrumental skills were prized in the early 1990s, as fixation on aesthetic accoutrements such as hair, makeup, and clothes were frowned upon and reflected the values of the early era of the late 1980s. But this itself gave way in ~1995 to a new wave of pop music as the “Seattle sound” of the early 1990s birthed carbon-copy imitators of authenticity, as a thousand Stone Temple Pilots bloomed before our eyes and assaulted our ears. As if to pay penance for the false authenticity of mid-1990s grunge we were treated to the naked and unabashed artificiality of the late 1990s boy band era. This is the period when Max Martin came to the fore, and these bands were churning out music where they were simply point-of-delivery devices for a product which they themselves wouldn’t have been willing to pop into their CD-players. So are we caught in an eternal recurrence? Will a new wave of authenticity burst the pop-music bubble-gum factory of 2015? Probably. 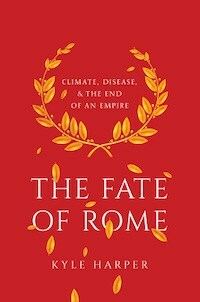 But, we need to not get confused here and in assuming that every wave of synthesis and artifice recapitulates what has come before: it’s getting better. Compare the highly produced music today to the synth-pop of the early 1980s. I think one can argue that modern pop-music is better at tickling the immediate gratification centers of our brains, our lowest common denominator human nature. The music factories are getting better on the margin at capturing our interest and extracting money from us in a more competitive post-CD landscape. They’ve already figured out that certain sounds and sights are going to extract the most bang for the buck, and are now recycling, doing away with even the pretense of creativity. My point is that we may be approaching the post-artist era of music. Yes, there will be “artisan music,” but it will be one flavor against a tapestry of single factories which will use their economies of scale and technological resources to delivery “just-in-time” music unit at a time through streaming services. There will be backlashes against this, and periodic renaissance of “old school” reliance on singular artistic voices, but it will be analogous to the emergence “slow food,” niche products with appeal to post-materialist affluent consumers who signal their taste. Pseudoerasmus has a very long post up, Where do pro-social institutions come from?. You should read the whole thing. 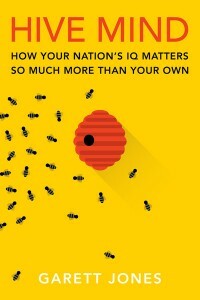 You should also read Garett Jones’ Hive Mind: How Your Nation’s IQ Matters So Much More Than Your Own . It comes out early next month. 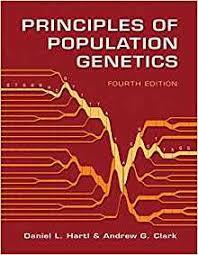 A week before Garett’s book, Joe Henrich’s The Secret of Our Success: How Culture Is Driving Human Evolution, Domesticating Our Species, and Making Us Smarter, is coming out. You should read it too! The "Hey girl" shaped hole in our brains?